For many, using the term 'Coachella' in any sentence invokes visions of sponsored parties, Snapchat filters, breathless blog writeups, and (a distant fourth) live music. In reality, the Coachella Valley encompasses an enchanting swath of land southeast of the San Bernardino Mountains to the shores of the Salton Sea, buttressed to the east by the jagged San Jacinto Mountains, and bisected by the perennially uneasy San Andreas Fault. Avenues boasting of residents from the near and distant past (Gene Autry, Frank Sinatra, Dinah Shore, Tahquitz, Amado, Belardo) anchor the desert cities firmly to a shared history of native settlements and vacation pads. Sojourners have flocked to this part of the desert for hundreds of years, whether seeking warmer climes, healing springs, a slab on which to homestead, or an escape (from where? From what?). If you can suspend the connotations with That Springtime Music Festival, the Coachella Valley is ripe for discovery whether your definition of Weekend Warrior includes poolside martinis, hidden trails, or mid-century architecture. Maybe you're perfectly comfortable debating whether the original Mai Tai was the provenance of Donn Beach or Trader Vic. Perhaps architecture's mid-century luminaries leave you more star-struck than any actor you may encounter at the Farmer's Market on a Saturday morning. If so, start in Palm Springs: the nexus of legendary lifestyles. The Palm Springs Visitors Center greets you with a cantilevered salute. At one time a gas station, this Albert Frey structure now pays tribute to Palm Springs' most famous architects and their various desert projects, from Kaufmann to Neutra. Head toward the airport to see the Frey-designed Palm Springs City Hall. Don a Hawaiian shirt and tour Elvis's honeymoon hideaway, or take in the clean lines and vibrant doors of some of Palm Spring's most famous neighborhoods. Whether by foot, bicycle, or vehicle, Historic Tennis Club, Indian Canyons, and Movie Colony are good places to start. While you're in the Movie Colony neighborhood, duck into ornately-outfitted Purple Palms for a sunset hour cocktail. Oh, and if you're still thinking about that Mai Tai, Palm Springs certainly delivers: drink up by the (scorpion) bowl at Polynesian hideaway Bootlegger Tiki and follow it up with a pupu platter at nearby Tonga Hut. If morning bears down on you like a runaway train, return to Bootlegger (yes, really), which, by the light of day, offers caffeinated relief as Ernest Coffee. Fill the void with breakfast from Cheeky's or King's Highway Diner. 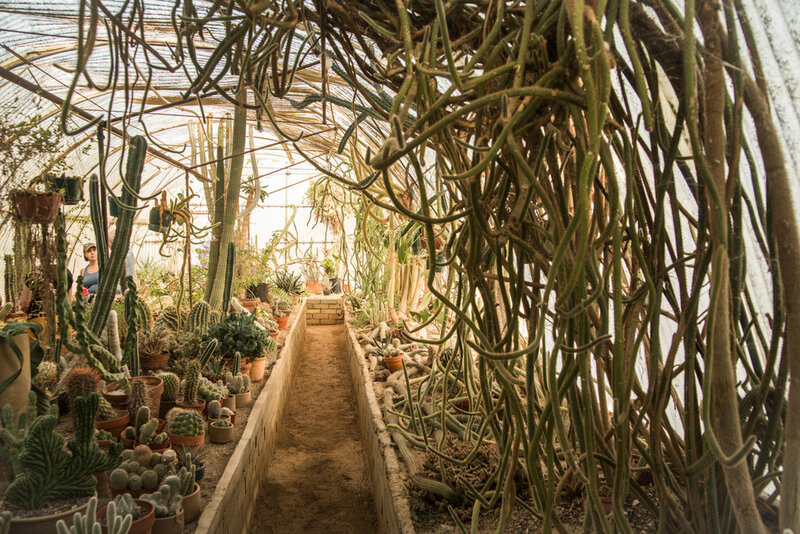 Palm Springs offers a number of inexpensive or free gardens to explore, from Moorten Botanical Garden's quirkily engaging cactarium, to the blissfully symmetrical rows at Sunnylands, to the Palm Springs Art Museum's Faye Sarkowsky Sculpture Garden. Spend what remains of the day shopping for the perfect mid-century chair or retro caftan in downtown Palm Springs. — Larry Fondation, "Starkness/Life in the Empty Spaces"
Perhaps you'd much rather stretch your legs and fill your lungs than take up permanent residence on a pool floaty. The Coachella Valley meets the needs of the weekend warrior with equal enthusiasm. Get a lay of the land from eight thousand feet on the Aerial Tramway, which, depending on the season, can take you from baking in the sun to playing in the snow in just two-and-a-half miles. The Thousand Palms Oasis at Coachella Valley Preserve is one of the area's best-kept secrets. Creaking boardwalks and open, sandy paths lead hikers to a pristine, mirrored pond encircled by towering palms. Escape the heat on one of several trails in Indian Canyons, or cool off under a 60-foot waterfall in Tahquitz Canyon. The result of a swollen Colorado River dumping its contents into the Salton Sink in 1905, the Salton Sea's tumultuous history really takes a turn for the macabre after the 1950's. The area was positioned as an oasis in the desert; Palm Springs by the sea! A prime location for weekenders and locals alike. However, evaporating water levels and rising salinity in the sea bore a plague of avian and aquatic deaths, which began a swift exodus of the hopeful tourist population. What exists today is a near-ghost town whose abandoned structures outnumber its residents. They're friendly, though, so don't let that stop you from grabbing a beer at Ski Inn on Bombay Beach. Whatever you do, just don't call it a lake. Continue east of the Salton Sea toward Niland to Salvation Mountain, the life's work of Leonard Knight (1931-2014). Some may call him a prophet in the desert, others call him an outsider artist. Still others may consider his monument a folksy tribute to a cartoon Jesus. We remember Leonard as a man passionately committed to a message so bold and colorful, it can be seen from the sky. If you find yourself continuing east of Salvation Mountain, you'll eventually wind up in Slab City, a community of off-the-grid desert dwellers and eccentrics. Come on a Saturday evening for the weekly talent show at The Range, an open-air nightclub. John Steinbeck knows well "when the virus of restlessness begins to take possession of a wayward man." The call of adventure comes from the road, and the hope of an uninterrupted ribbon of asphalt, unspooling from here till forever. 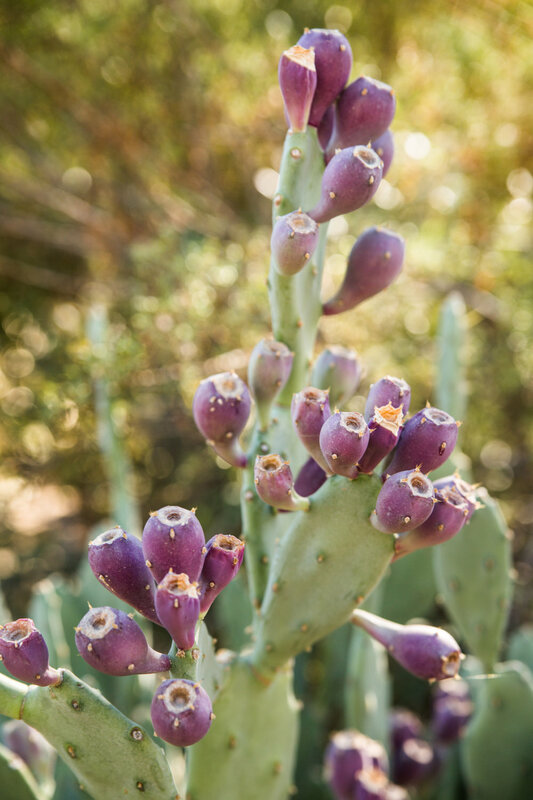 California's sprawling desert just may be the answer you've been seeking.